Wood ducks are one of my favorite species of waterfowl (side note: that is a weird word!) I love the plumage of both genders. 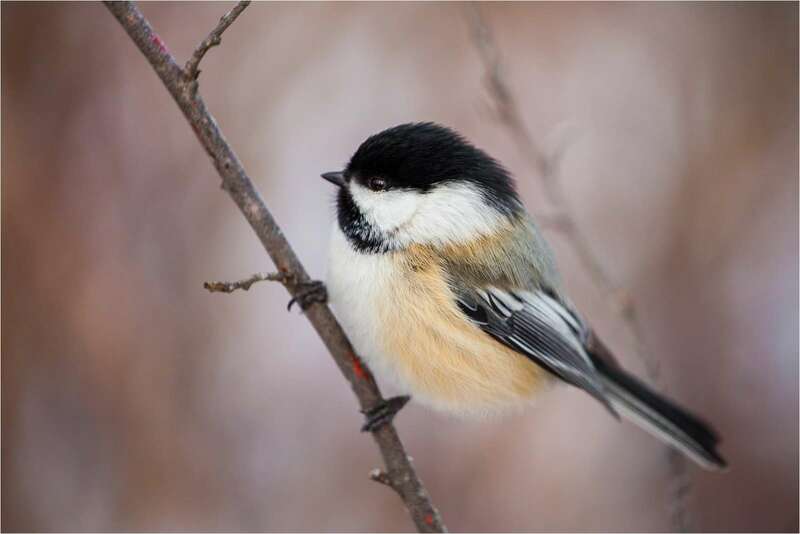 To me, they are among the most beautiful birds. Beyond that, I like watching them paddling around, chasing one another and most of all splashing during their cleaning routine. Last weekend I spent a couple of hours watching them carry on about their day. Every now and then, one would separate from the raft of ducks, presumably to get some space, before dunking their head under the water several times, shaking the water off, flapping wings, rising out of the water and then repeating it for as long as they saw fit. I didn’t tire of watching the water drops fly! Walking back from the birds along the shoreline of the Bow River, I drew a line along the ponds in the Inglewood Bird Sanctuary. The daylight was failing and the paths were in deep shadow. The water reflected the southern sky where there were breaks in the surrounding forest. In one of these bright patches, was a welcome surprise, there stood a Great blue heron, his profile silhouetted and motionless at first. 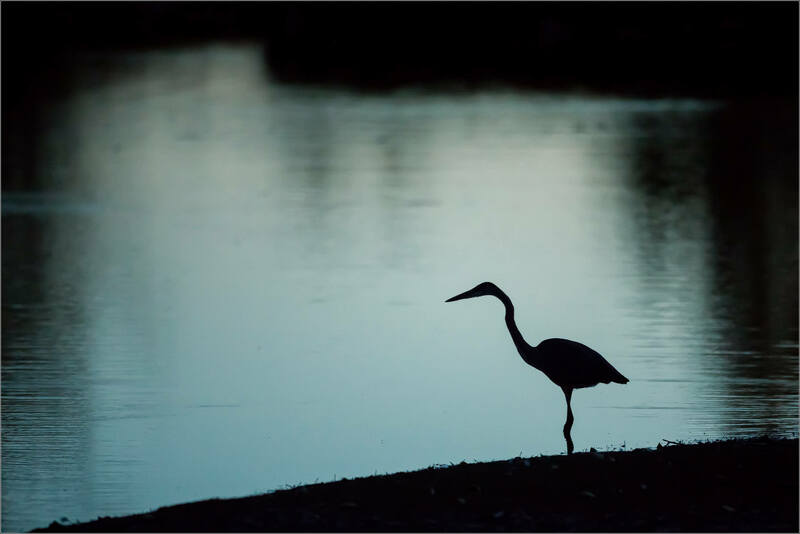 The bird then moved slowly in the shallows and I loved watching as the hunter stalked the fish below. Within a couple of minutes, a strike came. The water was pitch black to me but that did not help this fish. The heron lifted its head out of the water with a very nice sized dinner I would imagine. 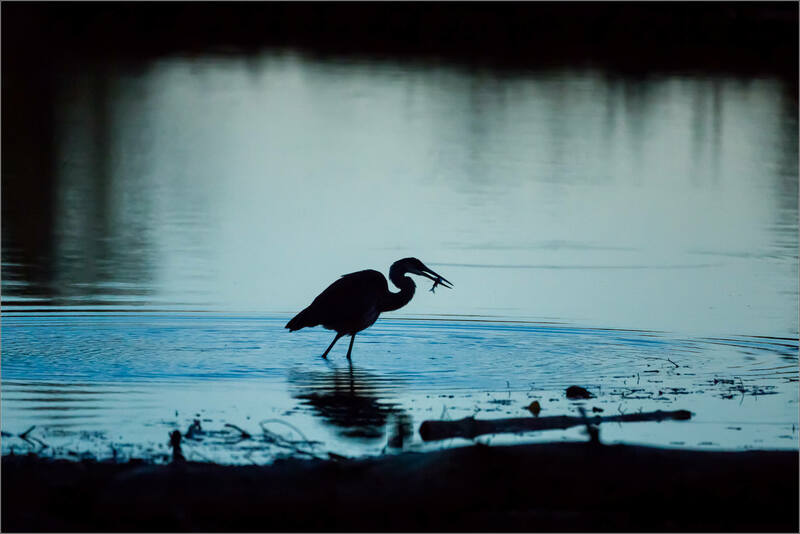 Once finished, the heron continued to ply its trade, looking to have seconds. 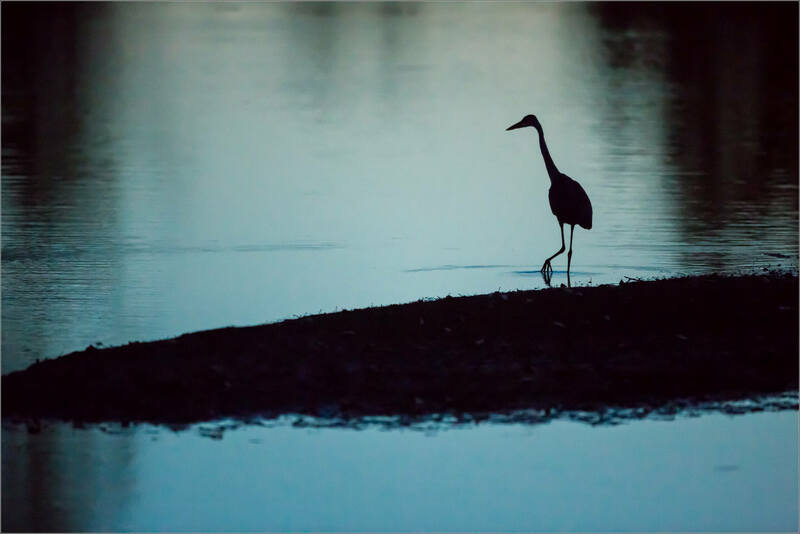 I spent an evening on the Bow River at the Inglewood Bird Sanctuary on the weekend. 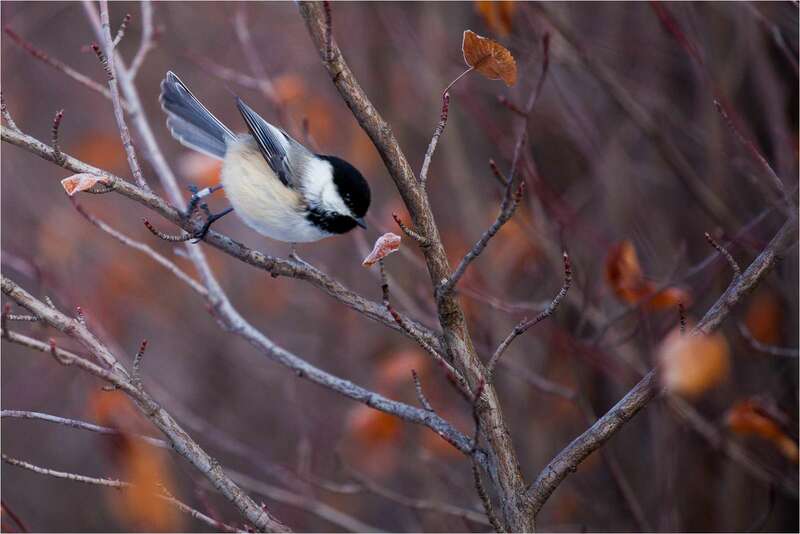 It was a beautiful day, warmly lit in golden light, and I had a great time photographing the birds well into dusk. Among the birds nearby were a few Double-crested cormorants fishing and flying around. 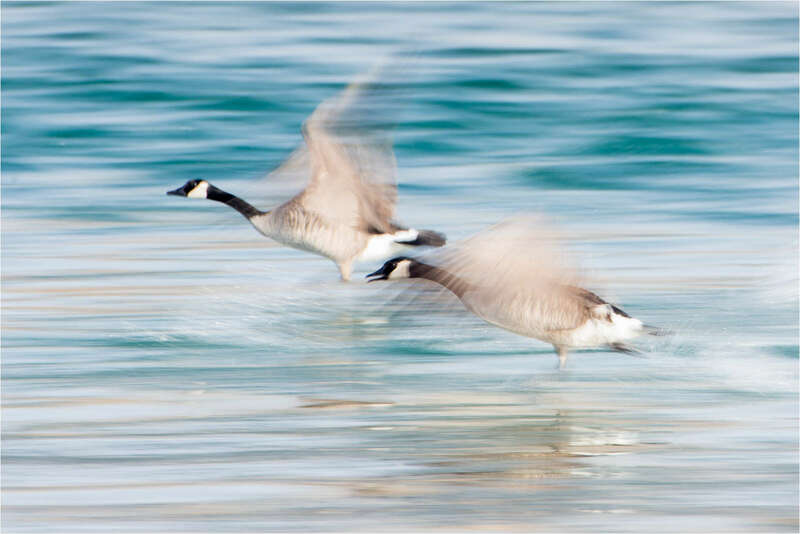 I photographed as they flew or swam by. 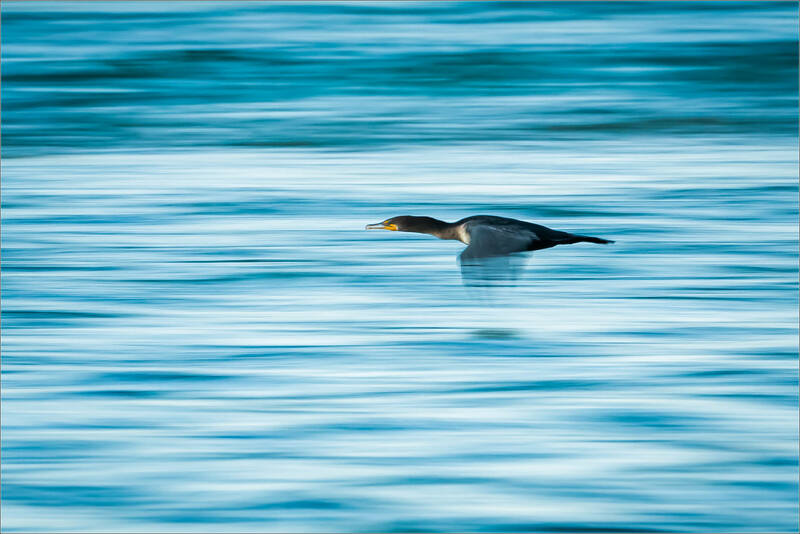 They are exceptionally fast birds and they often fly just above the water at speed which is exciting to watch. 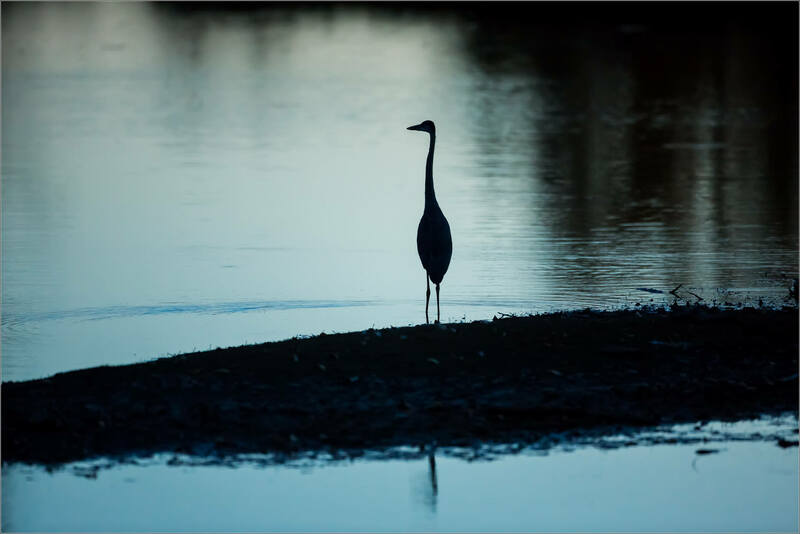 After the sunlight had left the river, I caught sight of one of these cormorants moving upriver. 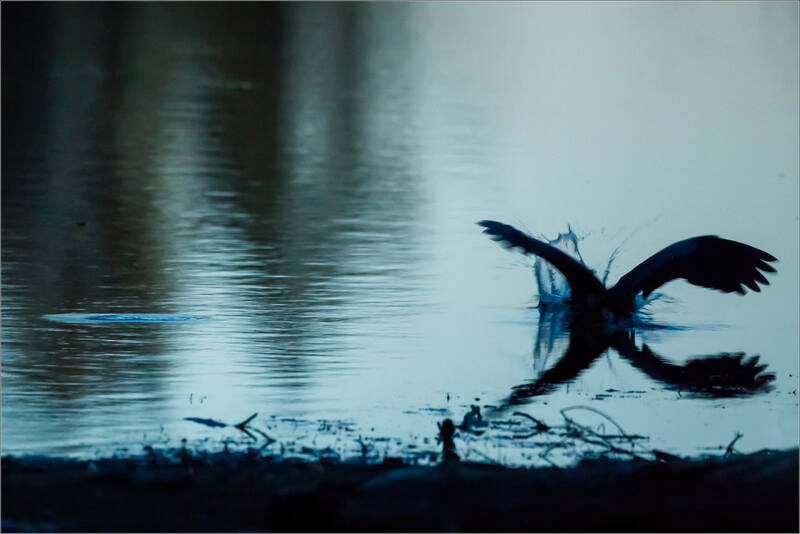 Darkness was starting to settle in so I dragged my shutter in order to use the lack of light to pan with the bird as it passed me. I used a shutter speed of 1/40th of a second and it worked out pretty well. 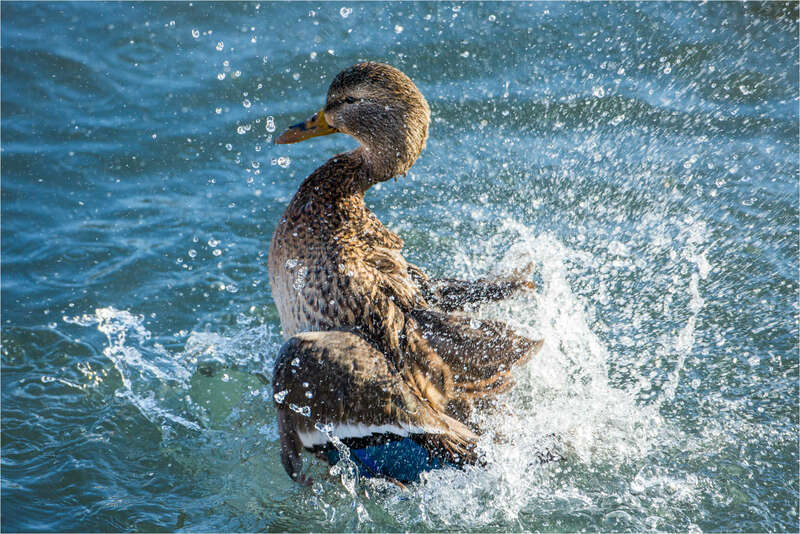 A female Mallard duck stretches out of the water to shake the water off of her wings. 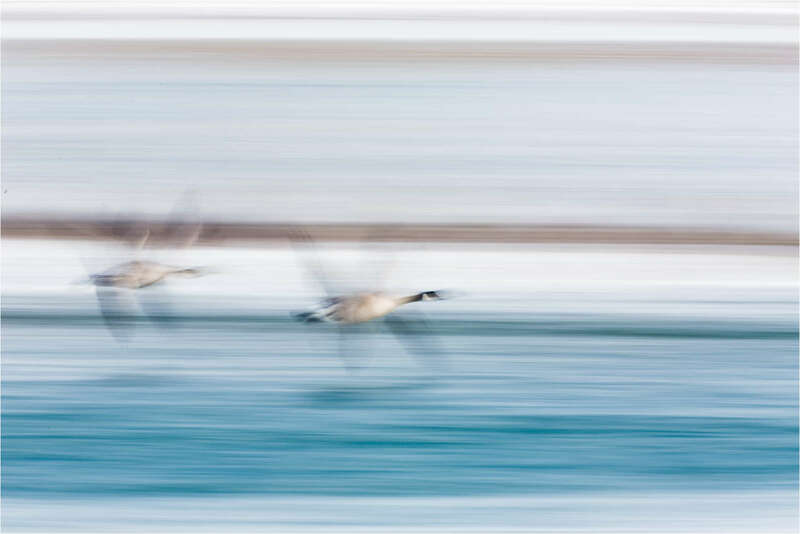 My friend Jeff (his photography website) and I were down at the Inglewood Bird Sanctuary that is in the middle of Calgary on one side of the Bow River to photograph the birds that overwinter there. There are hundreds of Canada Geese and Mallards on the water at any time. The Sanctuary is a great place to watch their natural behaviour with very few disturbances. 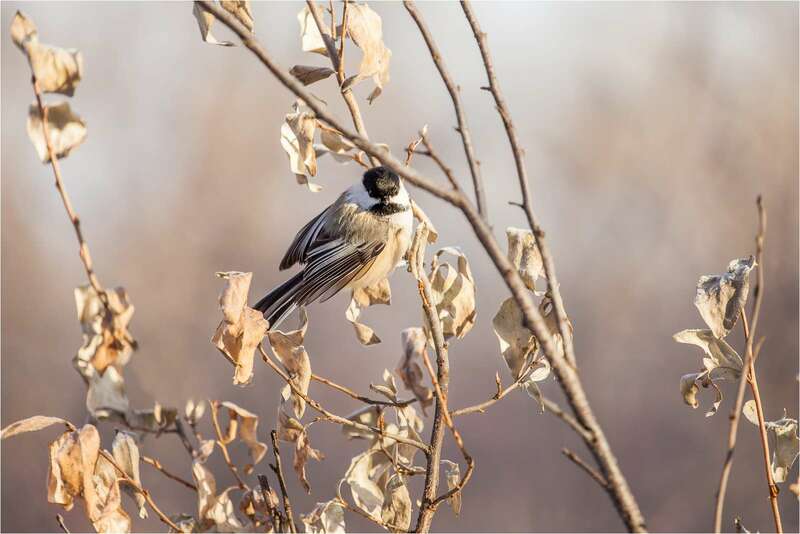 The Inglewood Bird Sanctuary is well-known for living up to its name and being one of Calgary’s finest locations for birding. I consider the paths through the forest that connect the viewpoints along the Bow River to be just as exciting as the shoreline. There are Great-horned owls in the trees, a couple have been spotted recently but I could not find them, as well as deer, coyotes, woodpeckers, magpies and the list of animals grows considerably in the warmer months. 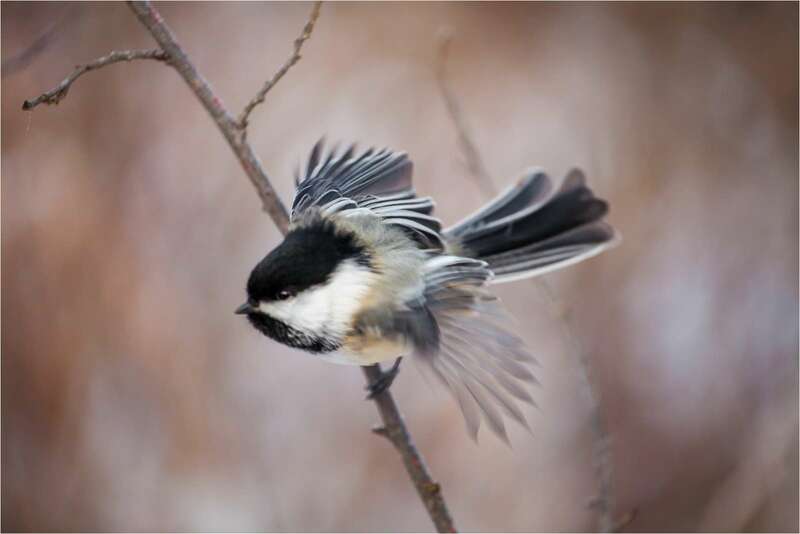 Easily the most interactive members of the community are the Black-capped chickadees. Easily seen along the pathways, they are curious and like to come very close. One precocious little bird perched on my camera and the day before another one had landed on my friend’s head. It is great fun watching them flit through the brambles and chirp at one another.